When I am out and about with just Leif and Harriet, people are shocked to hear that I am not the young mom of two littles but rather I am the veteran mama of five munchkins. Whenever they look at me in shock and sing my praises for being so "brave" or assume I must be an extraordinary mom for raising five kids, I feel like a fraud and quickly dismiss their accolades. My usual response is: "No, I am not brave, just crazy" and I quickly explain that my first three are much older and pretty independent. My situation is nothing like those mamas who have five under five, or even five under ten. Trust me. Those mamas deserve your praise; not me. But in all honesty, raising five kids no matter what how large the age gap is tough, and most days I feel completely unqualified and incapable of succeeding at this task. Although my older three can feed themselves, clothe themselves and clean themselves, they still need their mama for things like comfort, advice, guidance, companionship and assurance. And these things are usually required late at night or right around supper time when I am definitely not on my A-game. Since Harriet was born, I have cried many nights as I climbed into bed for not responding to a situation as I should have, for not playing soccer with Avery that afternoon, for not watching that show with Zoe before bed or for not really listening to Elliot when he was telling that story. This summer has been especially hard because I feel like all of my attention and care has been directed towards the two-under-two crew and that the older three have been pretty much raising themselves. Thankfully, things seem to be changing. I have been feeling more like myself lately. I have been more in tune with the what is going on around me and I have not had to go to bed as early because I am feeling much more rested. Each morning, when I say my prayers to start the day, I pray for opportunities to connect with each of the kids and then I consciously seek these opportunities out. It is difficult. Sometimes I fail, but for the most part, it seems to be working. Raising kids is hard. 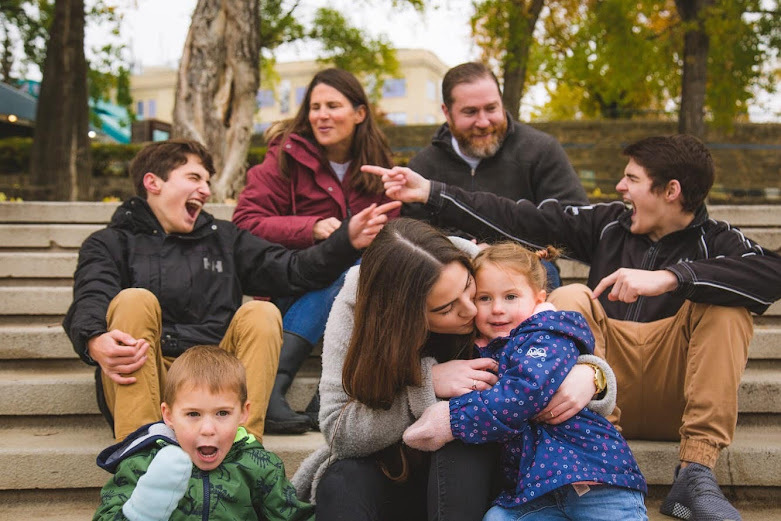 Raising five kids when you are just one woman with countless weaknesses and faults is RIDICULOUS, but I take comfort in the fact that like all things in life, you don't have to be perfect to make it work, you just have to want it badly enough that you refuse to give up. I have come to realize that raising five kids is never going to be pretty. It is never going to be easy, but what helps me get up each morning and fight as hard as I possibly can to prevent it from becoming a total disaster is my intense love for each and every one of my things and the hope that raising five kids will totally be worth it . . . someday.